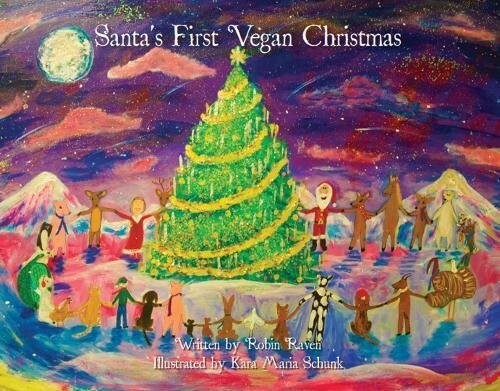 'Santa's First Vegan Christmas' by Robin Raven and Kara Maria Schunk is a heartwarming book to teach kids about veganism and the importance of being kind towards animals in general. The perfect gift for your children. Or for yourself for that matter. It's almost Christmas time. The crisp, winter air is starting to brim with enthusiasm and festive joy. Time to start thinking about gifts as well. For your children or for yourself we can't help but recommend "Santa's First Vegan Christmas", a holiday-themed book written by Robin Raven and artfully illustrated by Kara Maria Schunk. The book was published in 2016 by Vegan Publishers and it's readily available on many online bookstores. 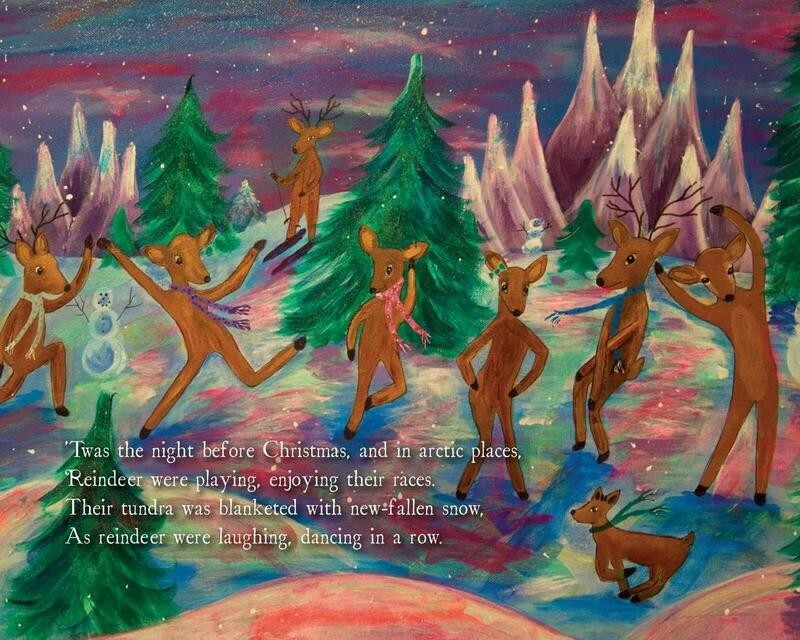 The story follows Dana, a forthright reindeer who lives in the Arctic. On Christmas Eve, Dana meets Santa Claus, who has come looking for reindeer to pull his sleigh. Dana gently opens Santa's eyes to how we can be more kind to animals. Together, they take off on Santa's traditional journey around the world but this year Christmas will be way more compassionate and animal-friendly than usual. 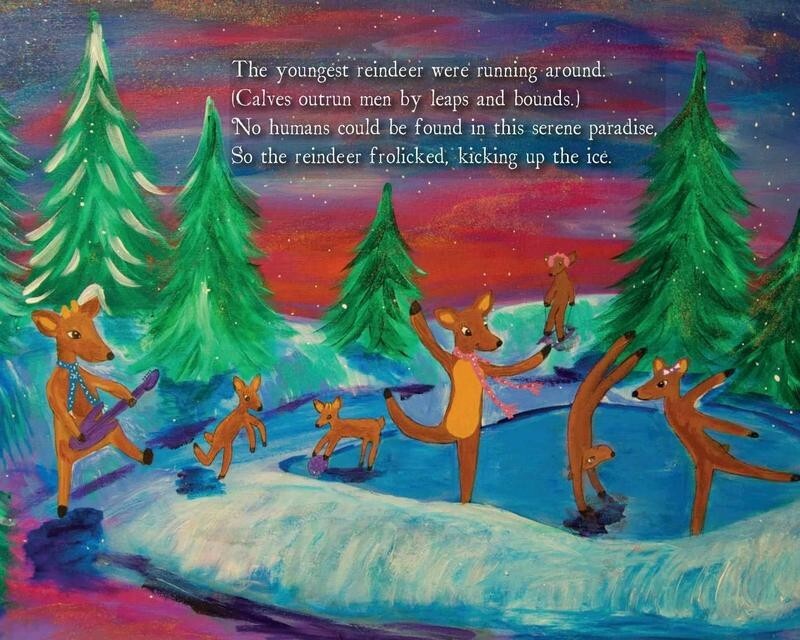 Aren't those reindeers frolicking on the ice simply irresistible?